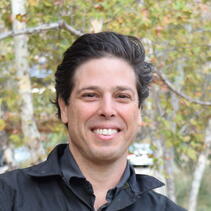 Ignacio (Nacho) Vilchis serves San Diego Zoo Global as Associate Director of Recovery Ecology. In this role, Nacho oversees day-to-day operations and research science at our Sierra San Pedro Martir Condor Field Station in northern Baja California, Mexico, as well as our Califonia least terns and western snowy plovers monitoring program. Nacho also providing key support for management of Cocha Cashu Biological Station in Manu National Park in the Peruvian Amazon. Nacho is currently involved with research aimed to help manage California condor range expansions in the Sierra San Pedro Martir range. As these once nearly extinct birds continue to thrive, understanding how condor diet preferences vary over time and space will help ensure their continued success, and mitigate risks related to lead exposure. In addition, Nacho leads research aimed to help inform the management and recovery of California least terns and western snowy plover throughout their range. And, Nacho is also involved in developing a long-term monitoring program of soundscape ecology at Cocha Cashu Biological Station. Nacho earned his doctoral degree from the Scripps Institution of Oceanography, and completed a postdoctoral fellowship in conservation biology with the Wildlife Health Center at the School of Veterinary Medicine, University of California, Davis. His dissertation and postdoctoral research focused on determining the factors that make certain kinds of seabird species more susceptible to rapid changes in their environment.